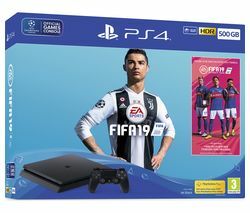 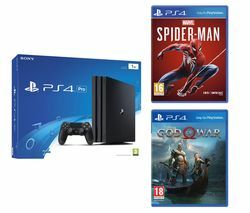 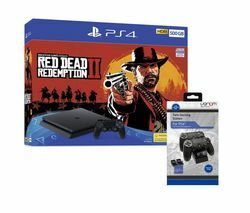 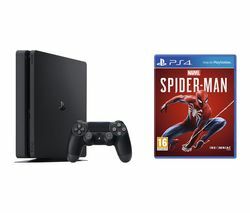 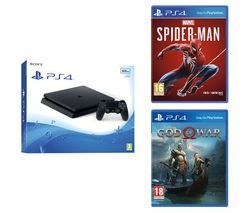 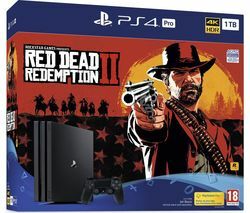 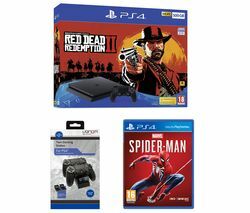 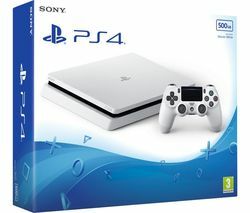 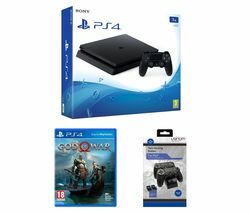 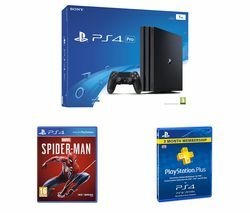 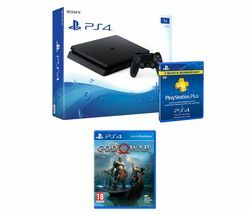 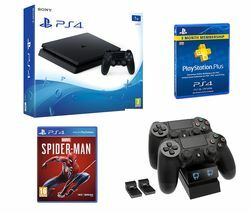 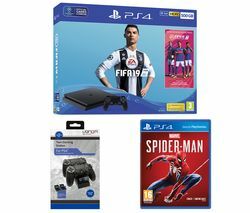 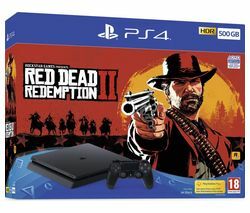 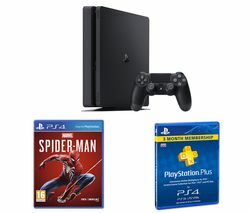 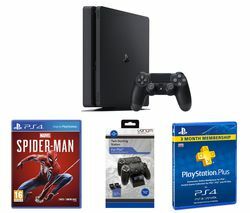 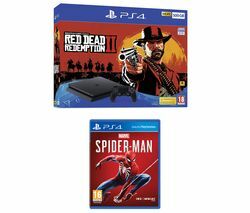 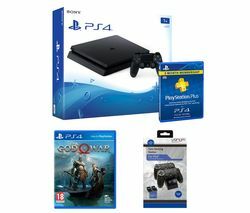 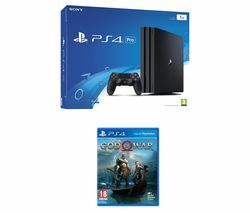 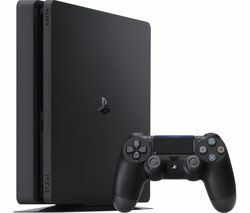 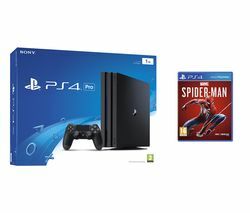 Get gaming with this amazing Sony PlayStation 4, Marvel's Spider-Man & Twin Docking Station Bundle._______________________________Sony PlayStation 4 - 1 TBDiscover a revamped PlayStation console 30% smaller and lighter than the previous model and more energy efficient. 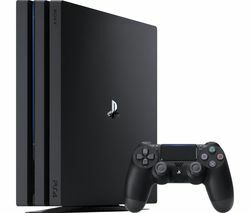 The new form factor features a slanted body design and soft curved angles for a modern look that looks great in any bedroom or living room.With High Dynamic Range (HDR) technology, graphics are better looking than ever. 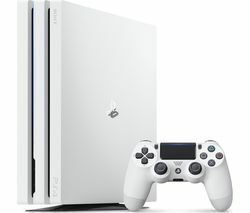 Experience better brightness and darkness reproduction across a wider range of colours bringing games to life. 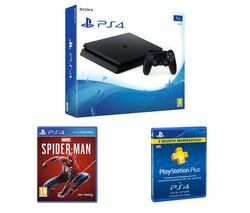 HDR-compatible TV owners will experience more realistic and striking visuals with HDR-supported games.Make the most of 1 TB storage space giving you room to store the latest PS4 games and demos available from the PlayStation Network online.__________________________________________PS4 Spider-ManIncluded with the PlayStation 4 is Spider-Man.The Big Apple comes to life in Insomniac Games' most expansive and interactive world yet. 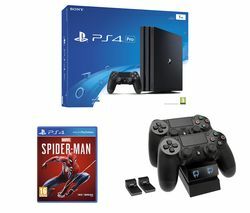 Put on the iconic costume and swing through bustling streets with amazingly realized views of iconic Marvel and NYC landmarks.Use the environment to defeat Spider-Man's enemies with thudding action moves in true blockbuster style. 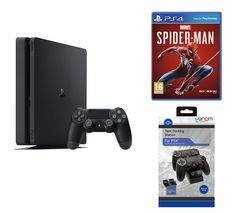 Interact with all your favourite characters like Aunt May and Mary-Jane and face against classic villains such as Electro and Shocker._________________________________________Venom Twin Docking StationStay game ready thanks to the Venom Twin Docking Station for PS4.Rapidly recharge your DUALSHOCK 4 wireless controllers without the need for messy cables, with the Twin Docking Station. 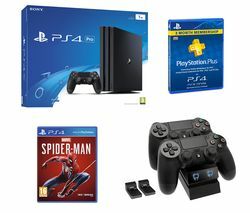 Simply attach the included micro USB dongles and the station will charge your controllers, even when on standby. 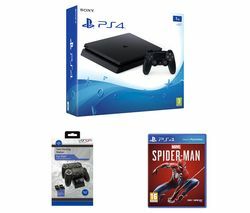 Red LED indicators will automatically turn blue once the controllers are fully charged.Dock, store and keep your controllers charged and ready to go with the Venom Twin Docking Station for PS4.